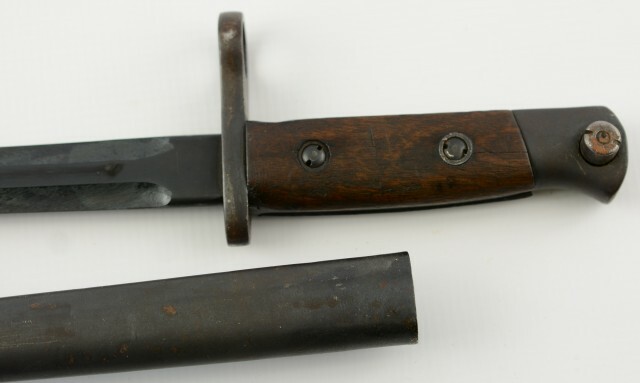 Description: Belgium model 1916/24 is an infantry bayonet with a 17 5/8" double edge blade and an overall length of 22 3/8" . Tthe cross guard shows a #3699 and Ic. 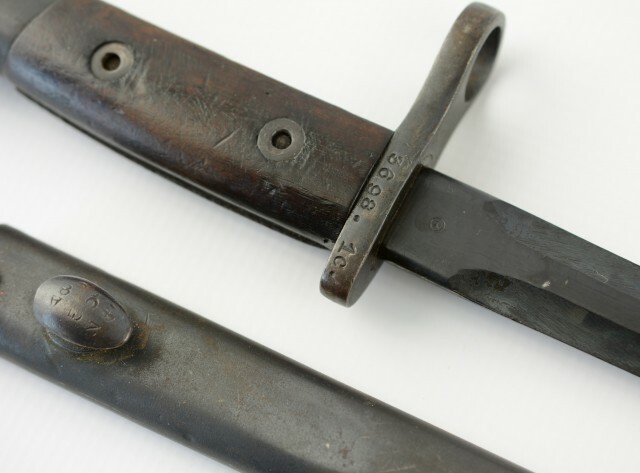 This bayonet rides in its original scabbard that is I sound condition with the stud marked 2 C1A over 408. The muzzle rig is 5/8" built for the mauser 1924/1924-30 and the model 1930. This example is in excellent above average condition.